Looking for some Gothic fonts you can download for free? Check out these are artistic, mysterious, and stunning free fonts which can be used to add a unique charm to your projects. You can never have too many great free fonts in your collection and these freebies will certainly be useful to you. These typefaces have strong details, beautiful shapes, rounded edges, clean strokes, and more. You can use them in many kinds of projects, such as wedding invitations, cards, posters, letters, or any other type of artwork you see fit. Check them out, download and use them in your designs. They are available for free! Here they are! 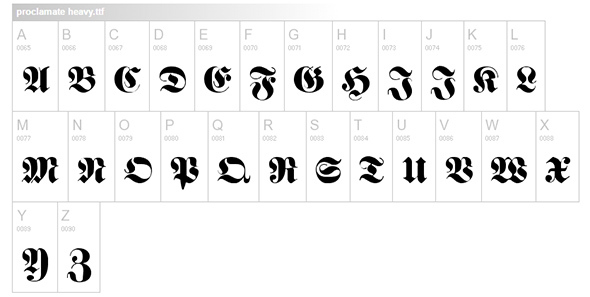 Check out this wonderful typeface with gothic inspiration. This beautiful font uses clean, rounded characters. 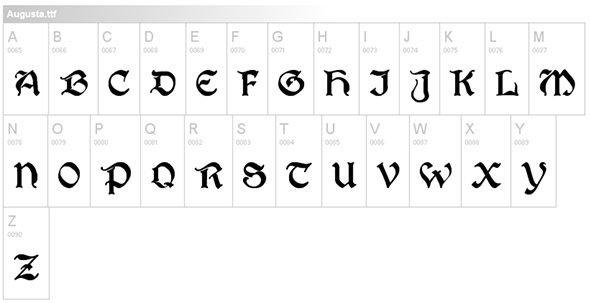 This is gorgeous gothic font with a lovely design. 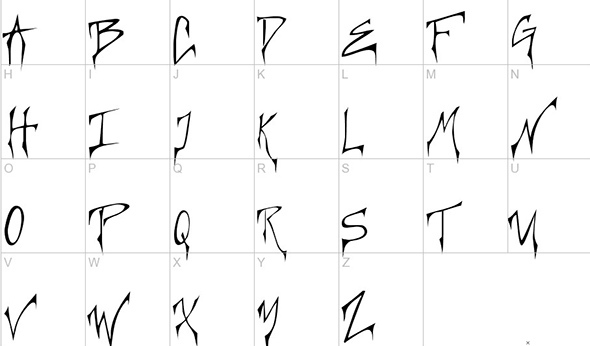 It uses various lines and rounded edges to create the characters. Here is another great typeface with gothic inspiration. This wonderful item can be downloaded and used for free. This is a special typeface that you can use in various projects, to add a little mystery. This can be great for titles, but not only. Enjoy! Check out this neat typeface which has a beautiful and unique style. You can download and use it for free. Take a look at this strong typeface that you can use for free in various projects. This font has a clean and bolded design that looks amazing. 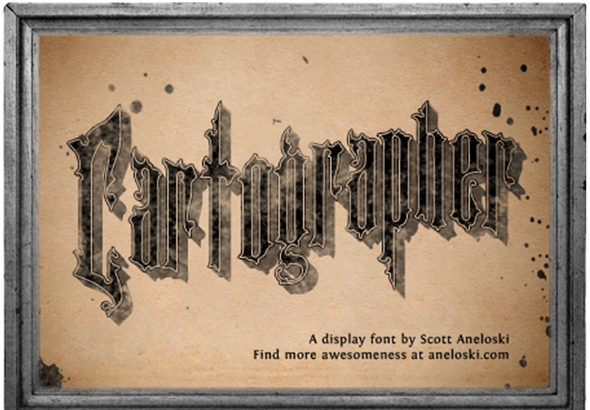 Here is another gorgeous font with a gothic inspiration that is available for free download. This typeface can be downloaded and used for free. Enjoy! This is a wonderful gothic typeface with a unique design. Download and use it in your current or future projects. This is a great asset with an impressive design. Check out this gorgeous font which is available for free download. The characters have a bolded and rounded design that will get noticed. Take a look and see if it fits your style! 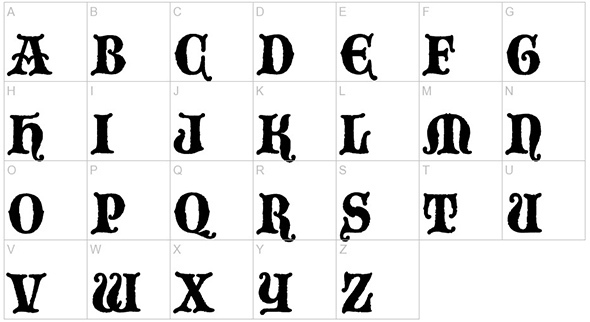 Here is another wonderful gothic font with a strong design that will make an impression. Check it out and use it in your current or upcoming projects. Or download and add it to your design collection. This is a gorgeous typeface which is available for free download. This font has a stunning 3d design that will definitely get your attention. Check it out and use it to create stunning artworks. Enjoy! Check out this lovely font and use it to add a little mystery to your projects. This freebie is available for free download. This is a gorgeous typeface with a slim design. The characters have a unique elongated design with a gothic inspiration. Check it out and see if you an use it in your projects. Here is a splendid font with elongated characters and a lovely design. Download and use it in your projects. Check it out an add it to your design collection. This freebie will come in handy at some point. Check out this great typeface, download it for free and use it to enhance your projects. This font has a bolded design with rounded characters and it will look stunning in your invitations, cards,etc. Take a look at this excellent font with a beautiful design that will definitely make an impression. This template is available for free download and use. Check it out and use it in your projects! This is an amazing typeface which you can download and use for free in various projects. This font has a unique design, with neat features that will get your attention. Here is a lovely typeface with rounded characters that you can use in various projects. Also, this font can be downloaded and used for free. Take a look and see if it meets your requirements. 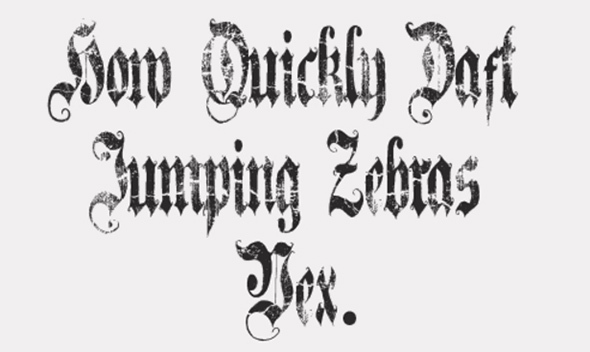 Check out this gorgeous font with a gothic inspiration. This typeface has a bold and clean design and you can use it for free. Download and add it to your design collection. This is a stunning gothic typeface with a unique design. This item is a useful asset t for your font collection. Also, you can download and use it for free.